"Who shall blame the Sioux for defending themselves, their wives and children, when attacked in their own encampment and threatened with destruction?" 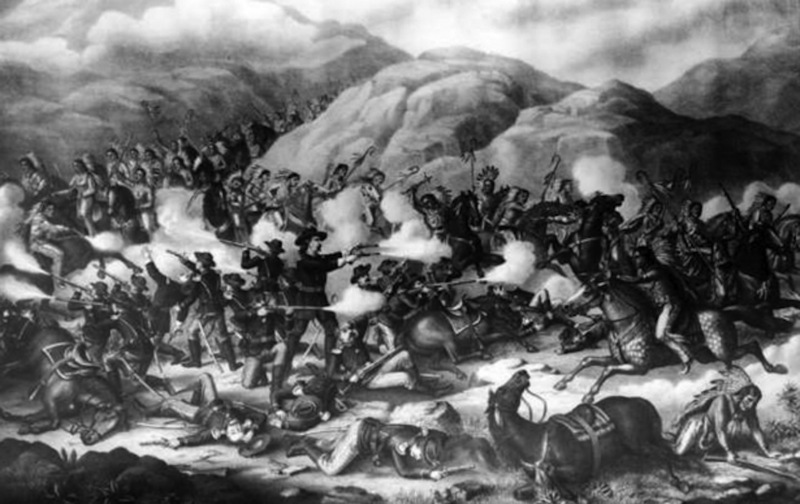 The defeat of George Armstrong Custer at Little Bighorn was greeted with renewed cries for a war of extermination by most of the country, who thought American Indians were murderous savages who needed to be killed in order for the United States to attain the imperial stature that was its God-given due. Yet the following letter published in The Nation, and reprinted in our recent anniversary issue, shows that there were some more enlightened thinkers wondering if maybe Custer and his men just might have had it coming. They were, after all, in the Dakotas to fight a war against the Sioux and other tribes of the Plains, so should it really have surprised anybody that the tribes would fight back? Lewis Henry Morgan, the author of this letter to the editor of The Nation, was a prominent anthropologist whose work on evolution and social origins influenced and was cited by Charles Darwin, Karl Marx, and Sigmund Freud, possibly the only American of whom that can be said. The destruction of General Custer and his command must be regarded as a calamity to the Indians as well as to the nation. It precipitates anew upon the tribes concerned the awakened wrath of the American people; it aggravates the difficulties of our Indian affairs, at all times great enough; and it reveals the fact that the intelligence of the Government has not been equal to the management of these affairs. This last statement has been true from and including the Administration of General Jackson…. The destruction of General Custer and his command is pronounced a massacre by some of these journals. The term thus used precludes extenuation; for a massacre is a slaughter with undiscriminating violence, without authority or necessity, and contrary to the usages of nations. No one could raise his voice in behalf of Indians who have committed such an act. But what are the facts in this case? General Custer, at the head of three hundred cavalry, rode into an Indian encampment, men, women, and children, and killed all who resisted without hesitation and without remorse. Unfortunately for General Custer and his men, they encountered the bravest and most determined Indians now living in America. They were surrounded and defeated, so that not a man escaped. They experienced the precise fate they intended for the Indians. We admire the gallantry of General Custer and his men; we mourn their loss; but who shall blame the Sioux for defending themselves, their wives and children, when attacked in their own encampment and threatened with destruction? This calamity is simply a chance of war—of a war waged by our Government upon these Indians, nothing more and nothing less.